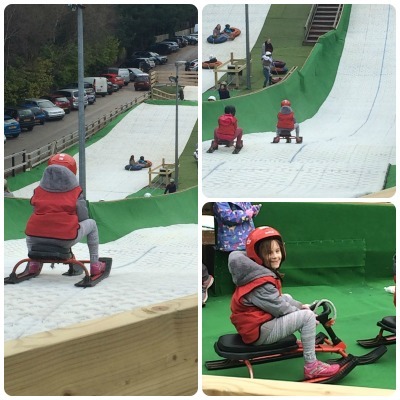 Miss A was invited to a ski bobbing party this morning at our local ski centre. 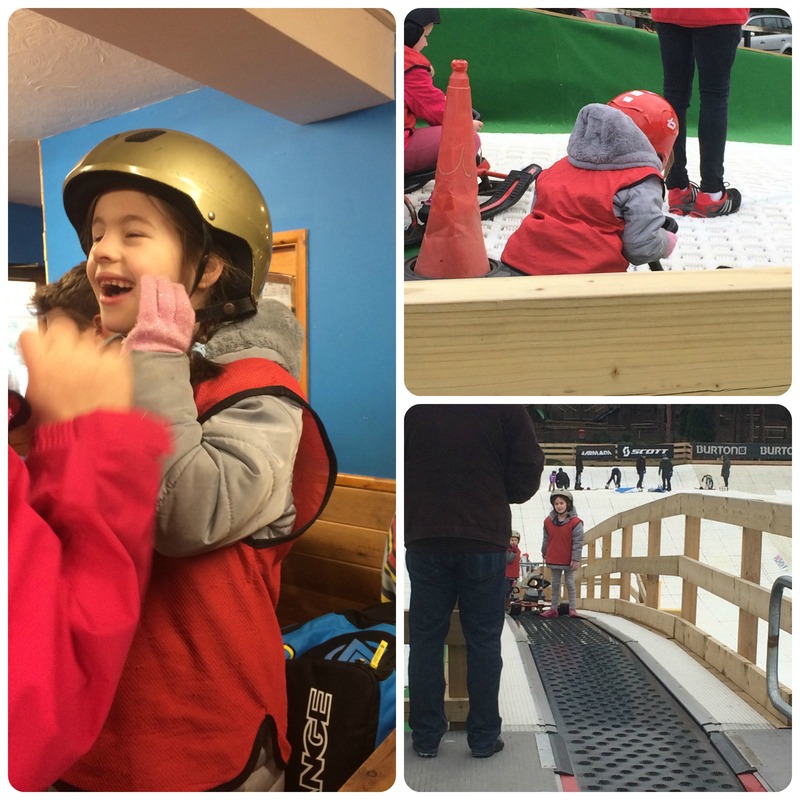 She has never been before and was really excited to get there and get whizzing down the dry slopes. As she’s not scared of anything that brings adrenaline, I wasn’t worried about leaving her to it, but stayed for a few minutes to take some photos before retreating to the warmth of the cafe area to enjoy a breakfast. I’m glad I stayed though as she came up to the top of the slope with a big sad face! I was quite funny from a parent’s point of view to watch her not being able to go in a straight line, but apparently that’s not funny to a seven year old! She said it was scary as she didn’t think she would go so fast. We told her she didn’t have to go again if she didn’t want to and could watch, but she’s stubborn and went for a second time. This time she came up crying as she hurt her knee! I could see this would be a long hour. After we deposited the helmet back to the desk she decided to be a helper to her friends as they went off down the slopes. Apparently that wasn’t very much fun either! We told her that really she had to help. have a go or sit with us in the cafe whilst her friends carried on. She wouldn’t be outdone so decided to get a helmet again and have a go. I think the photos showed that she started to enjoy it after about twenty minutes. I think the fear was more from the unknown and the speed and lack of control she had. Now she wants to go again, but we’ll try the ringos next time. M&M loved it did she try the ringos? This is what Olive went down on and she thought it was great! Maybe we should go on a little trip after school! You can get a voucher of the website for buy one get one half price.